Dhaulagiri Expedition is itself-one of the technical mountain among the 8000 meters peak. 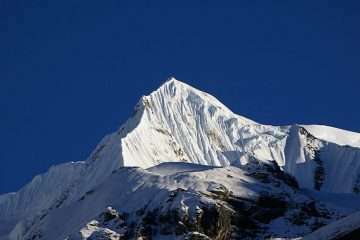 Mount Dhaulagiri stands at the height of 8167 meters amidst one of the most beautiful Kali Gandaki valley in the Annapurna circuit. 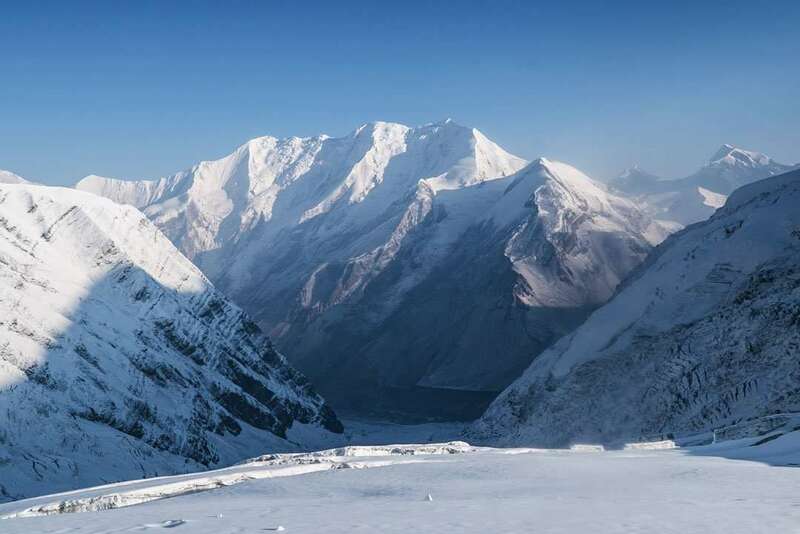 This region is an enriching one with the beautiful sights to beholds — the deepest gorge in the world to visit and snow-capped mountains in full view all around. 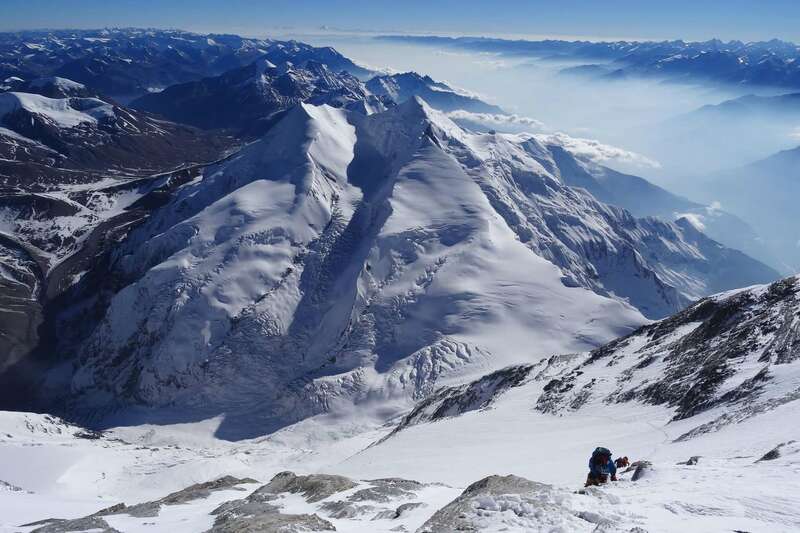 Mount Dhaulagiri expedition, the 7th highest peak in the globe is a feat requiring good physique and time to acclimatize while giving many routes to ascend the mountain. The alpinist takes the north-east ridge due to its safe but adventurous. The Dhaulagiri expedition begins from Beni bazaar, a short distance away from Pokhara marks the commencement of this beautiful treks. It takes trekkers through the villages with ethnic habitants living in perfect harmony with each other. The constant, towering sights of the beautiful mountain. 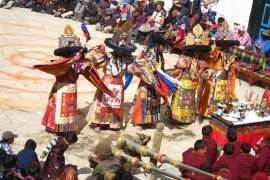 Since the trail passes through the nice settlements, forests, and yak pastures. Finally, reach the Dhaulagiri base camp at 4700 meters. 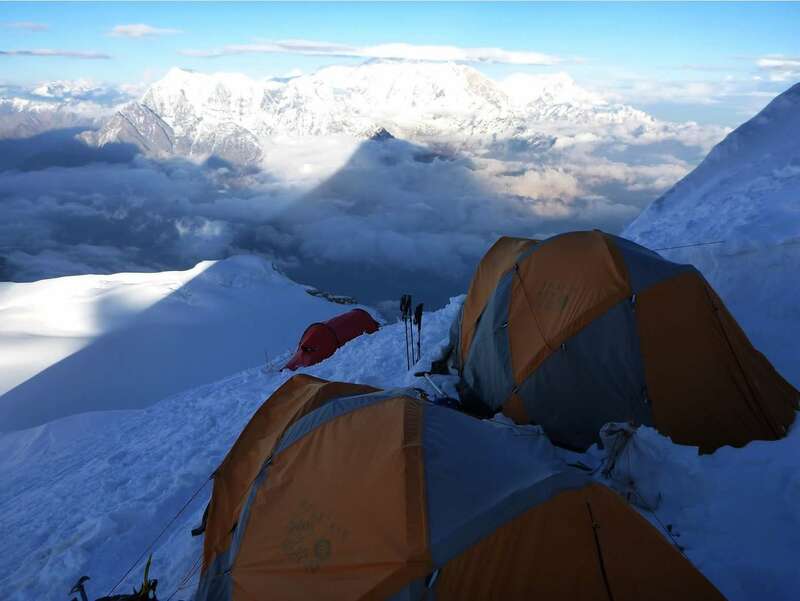 For the Dhaulagiri expedition, it is necessary to place up four different campsites. The advance base camp at the height of 5300 meters whereas camping at 5900 meters, and camp 2nd at 6400 meters. Even more, camp 3rd and camp 4th at 7200 meters and 7500 meters respectively. The advance base camp is just for deposited gear but not to use for overnight camping due to the fear of avalanches. So, the camp 1st is safe for a campsite which lies east to ABC. 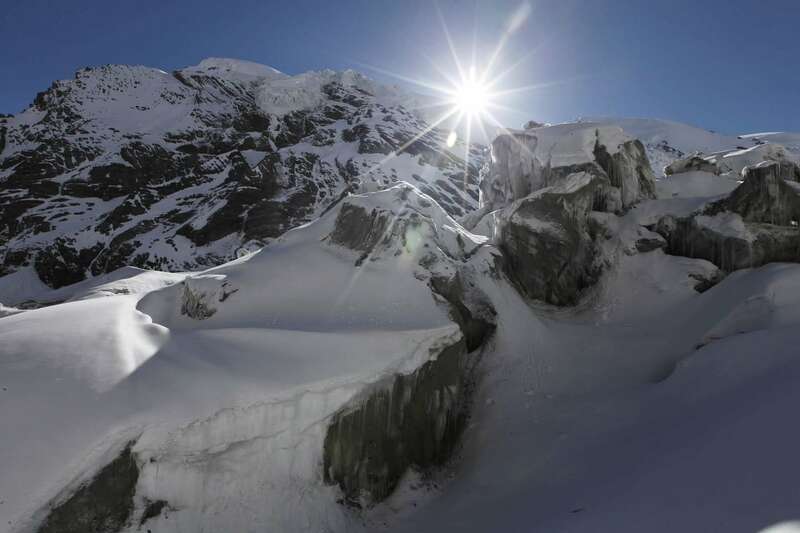 The path to camp 2nd is relatively complicated due to steep ice formation along the way. 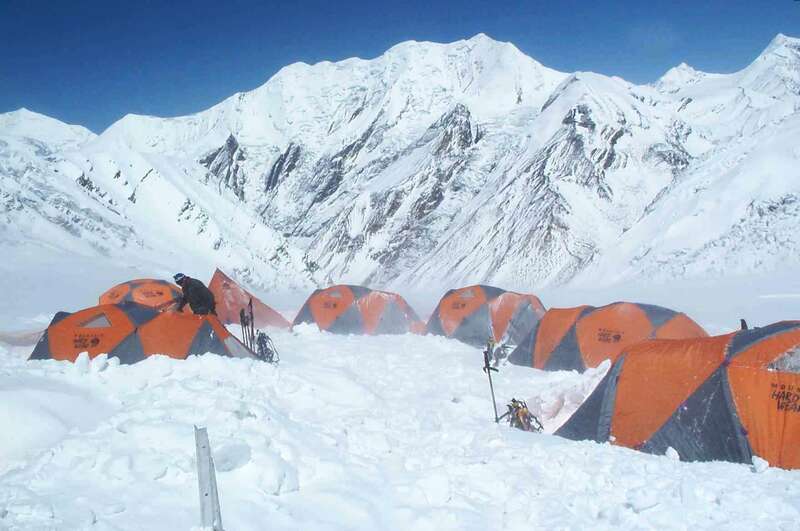 Camp 3rd lies west to camp 2nd attain via further steep ice before ascending to camp 4th through the intense and chilly winds. The camp 3rd to 4th is the most demanding climb among all. The summit can be directly reached, or any other camp at 7900 meters for facilitating mountain climbing. 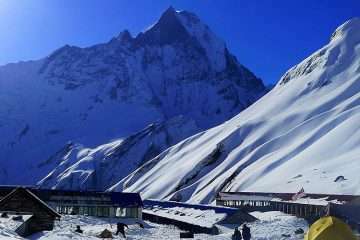 Once attaining the pinnacle and taking in all the beauty encompassed by the Kali Gandaki valley. The alpinist can back the same way down feeling with fully satisfied the grand adventure upon they embarked. To get the Expedition permits for Mount Dhaulagiri, It is required to attend Expedition leader whichever the Nepalese or foreigner for the briefing course conducted by Ministry of Tourism, Nepal. Day 4: Fly Pokhara (45 Min. ), drive Beni (3h00), trek Tatopani (900m) 3h00 walk. We will have breakfast in the hotel, followed by transfer to the domestic terminal to get a flight to Pokhara. Then, pack off all the backpack and 3 hours drive to Beni road through the Annapurna Foothill. Then, 3 hours walk to Tatopani along the bank of Myagdi Khola. Day 5: Trek to Dharapani (1560 m) 6h00 walk. The trail leads you Dharapani along the bank of Myagdi Khola. There might be disturbance the path in several places during the monsoon season due to landslides that leads several ups and downs. The trail goes passing by several settlements along the trail to Dharapani. Day 6: Trek to Muri (1700 m) 4h00 walk. Today is a short day walk to Muri. The trail leads climb up above the River with magnificent views of Dhaulagiri, and a long descend to another stream named Ghatte Khola the climbs up to Muri for the night. Day 7: Trek to Baghara (2375 m) 6h00 walk. Initially starts trek descends with a bridge of Dhola Khola. Then, across it, the pretty trail downs through the cultivated land, rice fields and isolated villages and gradually, climb up to get the village of Naura which is larger settlements of Baghar. Day 8: Trek to Dobang (2600 m) 6h00 walk. Initially, the trail goes down up to Jyardan, this is the last village of the valley and another village we will meet until we arrive at Marpha. The trail goes gradually climbs up passing through the forest as we find some shepherd huts in some place. It called Kharka where cattle graze the grass. Finally, we arrive Bobang. It is also Kharka. Day 9: Trek to Chatare/ Bhainsi Kharka (3000 m) 5h00 walk. Once again, we enter to the forest area after crossing Konban Khola, climb to the top where we can see the west wall of Dhaulagiri I and descend to Myadgi Khola, cross it takes away to the east bank along the river to get a summer grazing camp, Bhaisikharka. Day 10: Trek to Japanese Camp (3850 m) 6h00 walk. The trail leads forested area well known as Italian Base Camp with the rocky area, passing a steep slope and ascending to cross moraine of Glacier which falls from Dhaulagiri. Continue to walk along glacier encounter a spectacular grassy campsite called Japanese Camp. Majestic views of Dhaulagiri hike around for proper acclimatization. Day 12: Trek to Dhaulagiri Base camp (4750 m) 7 – 8h00 walk. Today early start up the trek due to longer day walks in the mountain through the glacier. Finally, we reach Dhaulagiri Base Camp. From the Base Camp, I can See the majestic view of Dhaulagiri I, II, III and IV and an amazing view of Icefall inform of Campsite which falling from the pass between Dhaulagiri and Tukuche Peak. Day 13 - 39: Climbing period of Dhaulagiri. 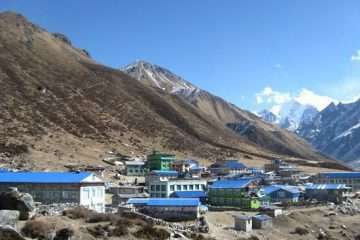 Trek up to the Dhaulagiri Base Camp, it is wilderness mountain experience and taking a day off rest in the Dhaulagiri Base camp an adventure expedition begins from here. The team will set up the camp as per the requirement and its management. Having several days’ acclimatization and train the technical skill with climbing guides that makes mentally prepare for the summit. After the successful ascension of Mount Dhaulagiri, the support team will clean up the Base camp and enjoy with the mountains, joyous moment that makes all the team happy. Set out all the equipment and an early starts through the moraine someplace it should be fixed the rope to eventually the ridge that takes you easy angled snow sloped heading to the French Col with a height of 5360 meters then enter to Hidden Valley. 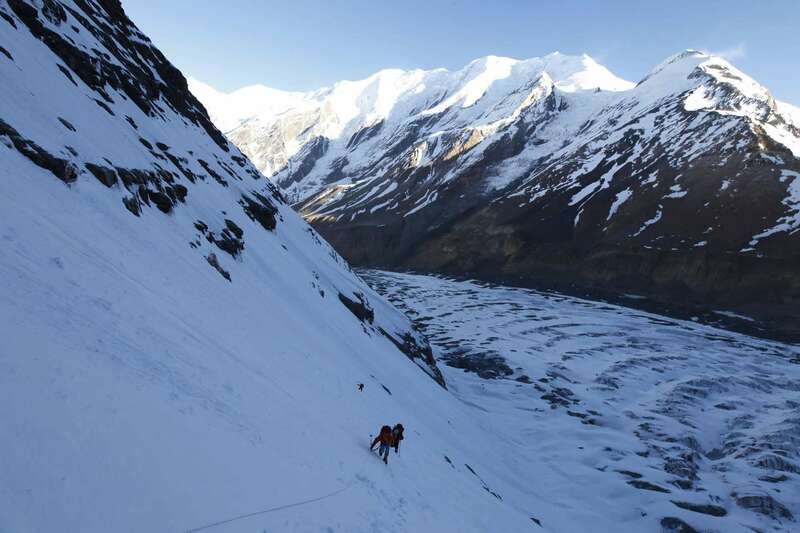 The trail leads us to climb the same elevation of French pass after climbing over the valley and need to be traverse another slightly lower Dhampus pass (5280 m) then steeply descend to Yak Kharka. We steeply further descend to Marpha, a beautiful small village en route Annapurna Circuit Trek. A short walk from here takes us to Jomsom. Today a long day descend more than 2000 m to edge of Kali Gandaki River. We can see Dhaulagiri I once descend a couple of hours. Then, gradually, Descending to Marpha village with zigzagging slope trails and walk along the bank of Kali Gandaki River to Jomsom. Day 46: Pokhara – Kathmandu. Day 47: Free day in Kathmandu. Its leisure day, rest and shopping in other hand security day in case of flight delay due to bad weather. You will be transferred to the airport 3 hours before your scheduled flight to your home country.